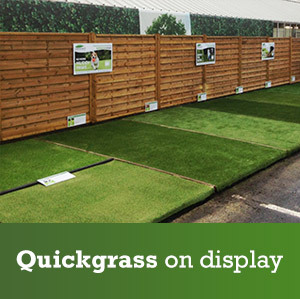 Here at Quickgrass we have created a unique ‘Soft Touch’ artificial grass range which is so realistic and natural looking you really will be amazed how good it feels. 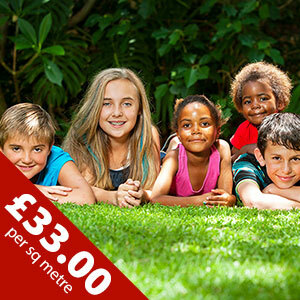 Quickgrass is a premium landscaping artificial grass, manufactured to the very highest quality. It’s beautiful to look at, soft to touch and made to last. Our synthetic turf has full UV stability, it’s guaranteed not to fade and is manufactured in Belgium and Holland to the highest production standards. Please request a sample and see for yourself. 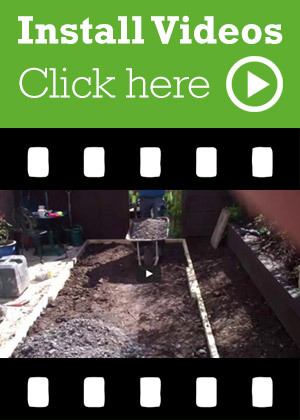 Artificial Turf can have a huge range of uses and be used as an ideal solution to many common problems. 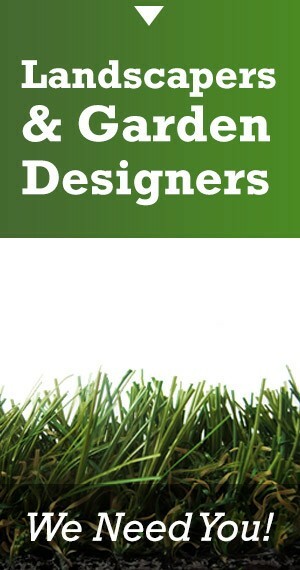 Our gorgeous synthetic grass is available exclusively from us! 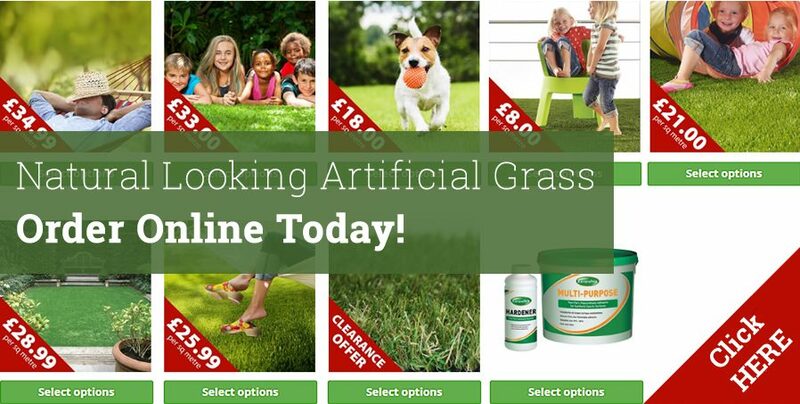 We don’t have third party sellers which means you know exactly what you’re getting; top quality natural looking lush grass with fantastic customer service! 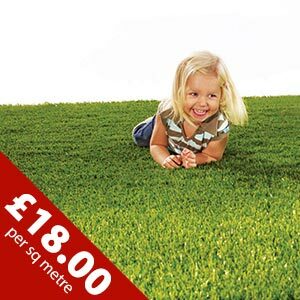 Each of our grass styles is manufactured to the highest standards with only the finest most durable materials and are fully guaranteed. 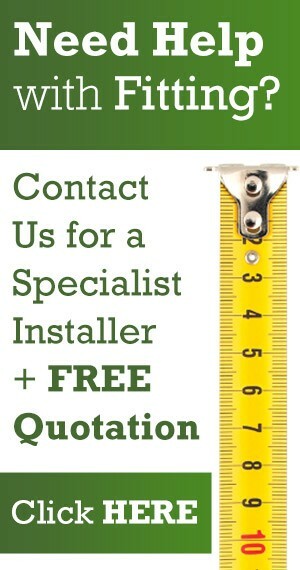 Whether you want a value artificial grass or a high end luxury style of artificial grass, we’ve got you covered. 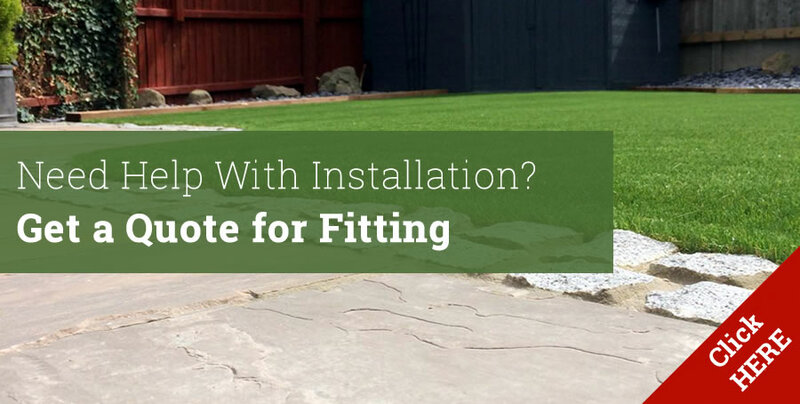 We have a style to suit every budget without compromising the quality of the turf, and with approved installers across the UK it doesn’t matter where you live, we can provide you with an artificial lawn. 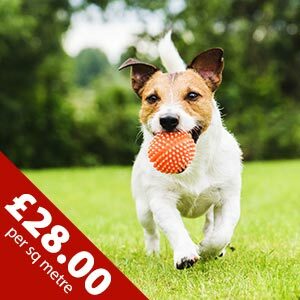 It also doesn’t matter how big or small your lawn is; our artificial grass is completely adaptable to all shapes and sizes of gardens. Even if the existing earth is lumpy and bumpy, our approved installers will take care of it all for you, making the whole process stress free. You can even have our fake grass installed on balconies! Before you know you’ll be relaxing in your own private oasis safe in the knowledge that your new artificial lawn is UV stable and colourfast, will be bright and fresh all year round no matter the season, is hardwearing and non-toxic and best of all, requires no maintenance! 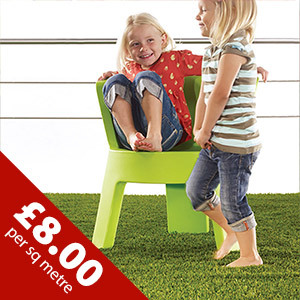 Our artificial grass is safe for children and pets too, with them not being able to tell the difference! 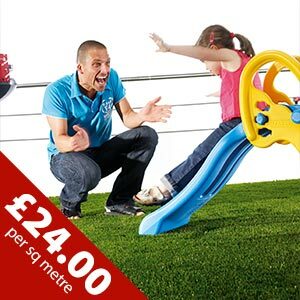 There’s no mess or mud with our artificial grass, meaning you can rest assured that dirty footprints on floors are a thing of the past. 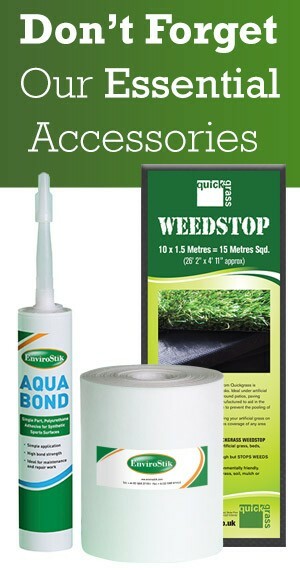 No mess, no maintenance, and no weeds to boot? It seems too good to be true, so if you’re still sceptical why don’t you request a sample pack? 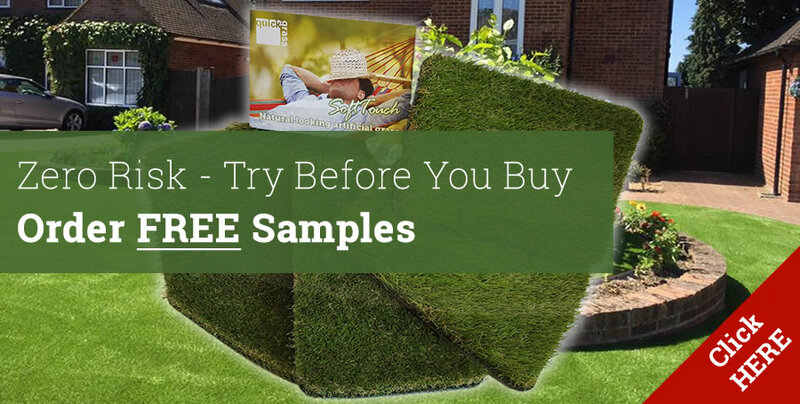 We’ll send you a small sample of each of our grass styles so you can see for yourself just how gorgeous and soft they are, and you’ll definitely be sold. 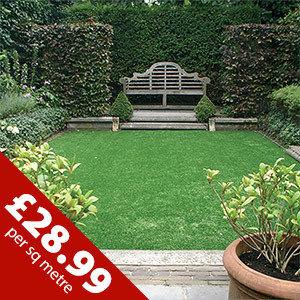 Our ‘soft touch’ Woburn artificial grass is the most popular, with a mixture of yarn styles and textures to ensure a completely natural finish even when close up. Our Fairway is the cheapest in our range, however we haven’t scrimped on quality when it comes to this style. 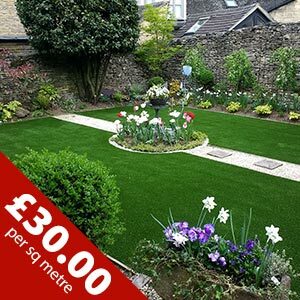 It’s still the same hardwearing and long lasting fake grass we pride ourselves on, with natural looking short fibres making it perfect for those on a small budget. 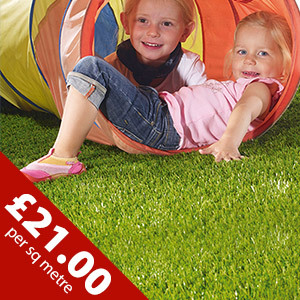 The high end grass in our range, the Cheltenham, is the most expensive. 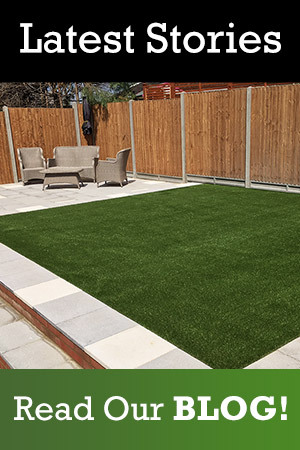 With double layer latex backing and beautiful thick pile thickness, it really is the epitome of style and class when it comes to artificial grass.If you’re thinking that artificial grass is that short, scrubby plastic stuff, then think again. Our synthetic grass is beautiful, our installers love working with it and because we take the utmost pride in what we do, it shows in our products. 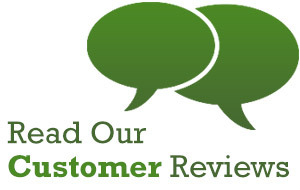 Our artificial grass is unrivalled, proven by our many happy customers, testimonials and case studies on our site. 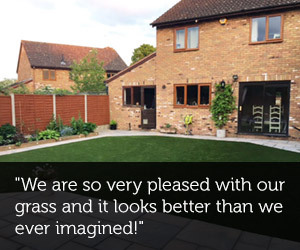 If you want to be one of our happy customers, then get in touch with us today to see how we can transform your garden with our bestselling artificial grass, available exclusively from us here at QuickGrass.